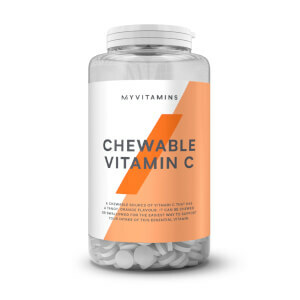 What Are myvitamins Collagen Capsules? 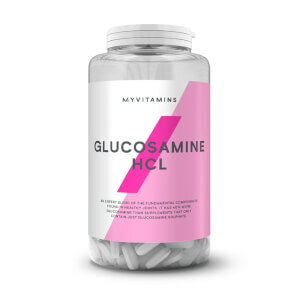 Myvitamins Collagen is a hydrolysed form of collagen that is expertly formulated to support our natural levels. It contains two naturally occurring porcine collagens, type I and III, which are essential to the skin and bones. In its hydrolysed form, it is quickly and more easily absorbed by the body than other essential proteins. Why Use A Collagen Supplement? Collagen is like the glue that holds us together. It makes up our skin, bones, and cartilage, and even supports our digestive system. 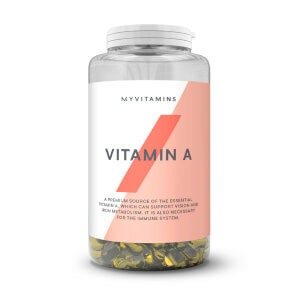 Although our natural levels decline as we age, supplements can help to restore the amount of collagen in our body. With an expert formulation, our Collagen can help to boost your levels to support the health of your skin and joints. What Works Well With Collagen? Collagen capsules are a simple and easy addition to your routine. Just take one a day. I’ve been taking these for a couple of months now. I’m sure the lines on my forehead have dramatically reduced. Really good price for them too. I’ve always struggled with problem skin on my face. Uneven skin tone, myalasma, blotches but since taking the collagen tablets these problems have vanished. I did stop taking them for a few days and within 24 hours I had spots forming and my skin looked terrible. Within a few days of starting them again everything cleared up. Some might call it a placebo effect but for me it was a real transformation. I’m also a guy so I highly recommend other guys try these if they suffer from any problems with the skin on their face. For me they are miracle tablets. I have been taking these tablets religiously, along with other two in the title, for 2 months and my skin, hair and nails have never looked better! My nails are strong and no longer break. My hair is the shiniest it's ever been and people are commenting on its growth. So much more energy. Perseverance and consistency is key! I have always looked after my skin and using these Collagen Vitamins as helped me continue to do so. My skin now feels the same as when I was in my teens the Elasticity and Glow makes me feel Younger. I have Recommended this to all my friends and Family and I will Most Certainly be Ordering this Again. Love this , trying my best to hold back the years. I've been taking these for a couple of months now (with a short break due to stocling issues). They work great. My skin looks better, radiant, less blemishes. I'd recommend it to everyone. The tablets have made a small reduction in the blemishes, and have made an improvement in elasticity and fullness of skin. Massive improvement in my skin condition! I've been taking Collagen for just over a month and already can see a massive improvement in my skin condition. The best thing I've noticed since taking the supplements is my skin seeming more plumped and even. In fact, people who didn't know I was taking anything were asking if I'd been for a facial as my complexion has been glowing! Even better, I have noticed the disappearance of my blemish scars. I have also recommended these to many of my friends who want similar results to me. Highly recommended!